Before, dividers groups tend to distract each other. When you need to make the most out of the space you have, sometimes you have to think outside of the box. In many cases, adding a Screenflex Portable Church Room Divider will help you create new space when you want to re-arrange your rooms or create more useable space. 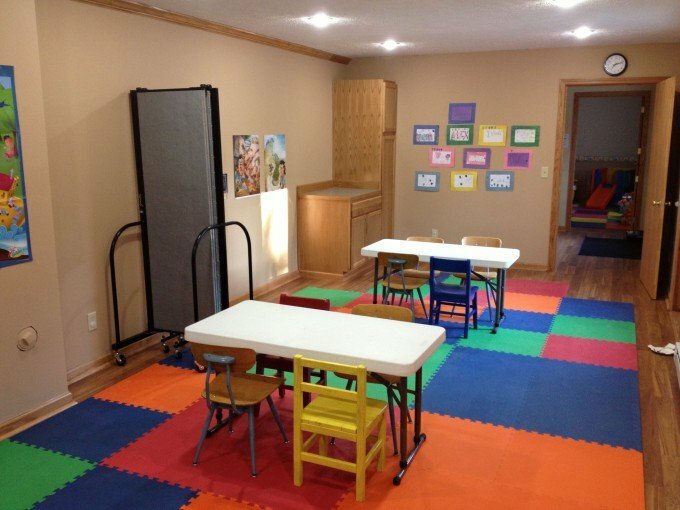 Screenflex Room Dividers made it easier for Life Point Bible Church in Michigan to divide their kids’ programs into two groups when they realized more classroom space was needed. When closed, a divider takes up about 3’0″ x 2’5″ of space. The church staff revealed that without a partition, the students became distracted when they could see and hear the other group talking, getting up and moving around. Wanting a divider that could cut distractions and sound was their primary goal. They also wanted a partition that could be used in other parts of their church for different ministries. Pull the divider open to create a secure, instant classroom! 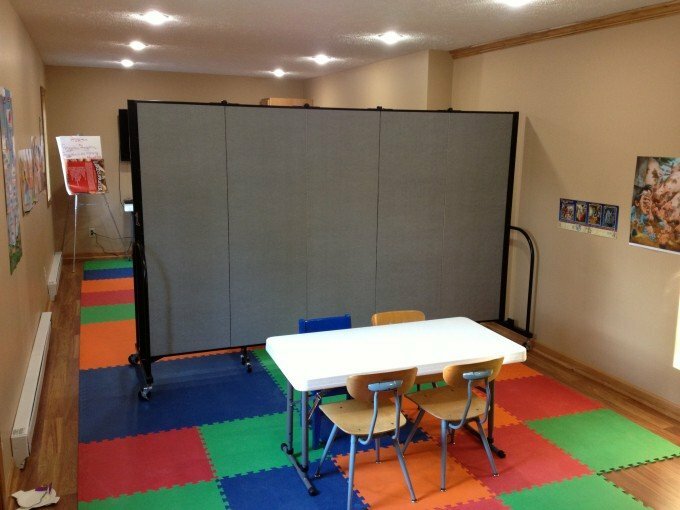 Hoping to find something portable, temporary, flexible and sound absorbing, the pastor purchased Screenflex church room dividers for their kindergarten through 5th grade Sunday school program. They decided on one 6′ high 9’5″ long church divider for one of their Sunday school rooms and chose a beautiful blue fabric for their panels. Using Screenflex temporary walls has helped Life Point their ministry. With more classrooms, the students are able to receive small-group instruction and attention. 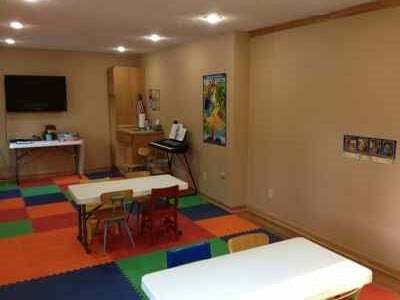 For more ideas on how adding Screenflex room dividers can enhance your day care facility or Sunday School, Room divider photo, and video gallery! You’ll be able to see real-life examples of how other churches, schools, hotels etc., are using portable room dividers. If you like what you see, or have questions about our product, contact us at 800-553-0110, by email at [email protected], on Live Chat, or by completing the Room Divider Pricing.